We sometimes harbor the illusion that the saints "had everything figured out" in their lives as though they possessed some kind of heavenly GPS plotting their journey of life from its beginning to its final destination. Actually, the saints were often as unsure as the rest of us. Many of them needed to pray for God's guidance each day and waited for Him to reveal His will one step at a time. This was certainly the case for St. Vincent de Paul and St. Louise de Marillac, who founded the Daughters of Charity on November 29, 1633. After St. Vincent delivered an inspiring sermon about the desperate need of a poor family in his parish at Clichy in 1617, parishioners flocked to the home to see how they could help. 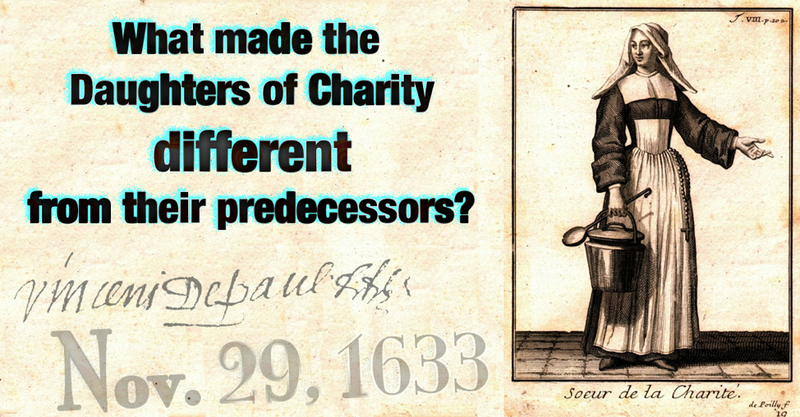 This experience led St. Vincent to the then-revolutionary idea of organizing charitable efforts for the poor. He gathered influential women together in groups which he called Confraternities of Charity (now known as Ladies of Charity) and asked St. Louise to visit, mentor, and oversee their efforts. As time passed, the women, who were unaccustomed to menial tasks, began sending their servants instead of going themselves into the homes of the poor. St. Vincent and St. Louise recognized that another approach was needed. The solution came with the appearance of a simple peasant girl, Marguerite Nasseau. She, with her companions, was very willing to carry out the necessary, humble tasks. St. Louise realized that these young women needed support and training. In 1633, she welcomed them into her home. This was a shocking departure from the social norms of the day. Through their faithful following of the Lord's guidance step-by-step, St. Vincent and St. Louise became the founders of a new type of religious community for women where the sisters were free to venture outside of the walls of a convent to minister directly to those in need. Ten years later, St. Vincent would say to the Daughters gathered for his conference: "Who would ever have thought that there would be Daughters of Charity? ... 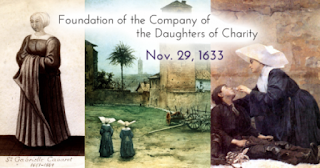 I did not think of it ... God thought of it for you," (Conferences to the Daughters of Charity, June 14, 1643). In 1654, he elaborated further: "Now, dear Sisters, the fact is that no one on earth can say, 'I did that.' Mademoiselle [Louise] can't say it, neither can M. Portail, no anyone else. 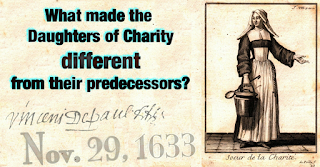 No, Sisters, no one can say, 'I'm the one who did this work,'" (Conferences to the Daughters of Charity, May 25, 1654). Both St. Vincent and St. Louise recognized the presence of God in the events and circumstances with which they were faced and counted on Him to guide them step-by-step along the right path to accomplish His will. He continues to guide us in the same way, one step at a time. Are you wondering about God's plans for your future? Trust Him to show you the path He wants for you, one step at a time. Written by Sister Chris Maggi, D.C.